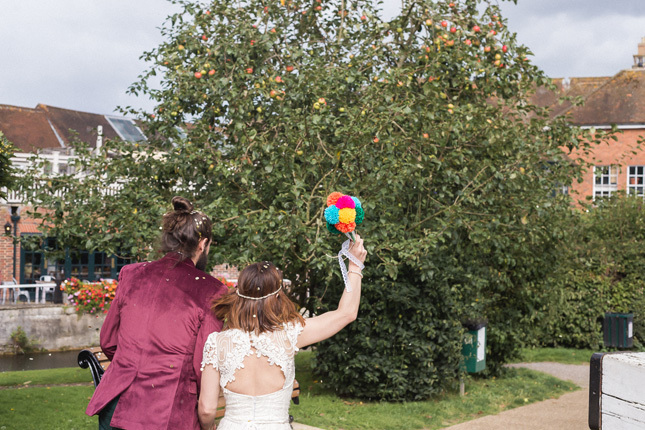 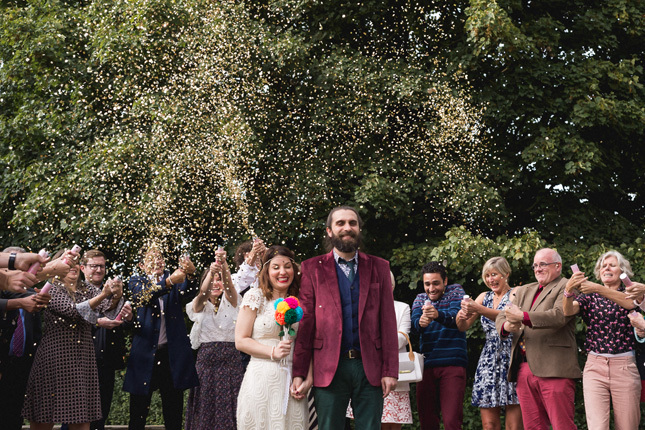 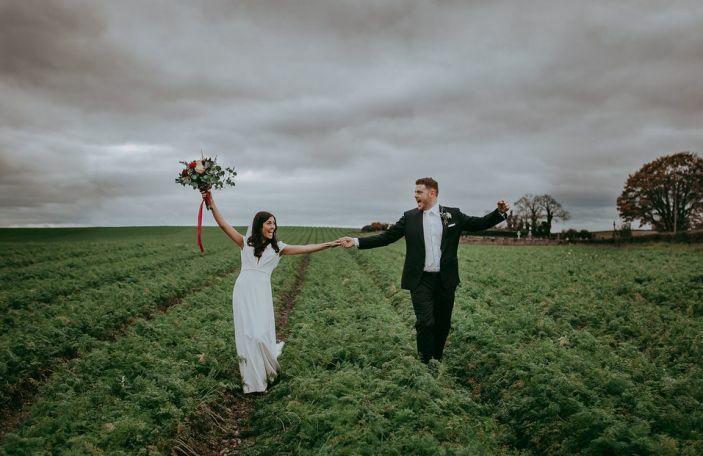 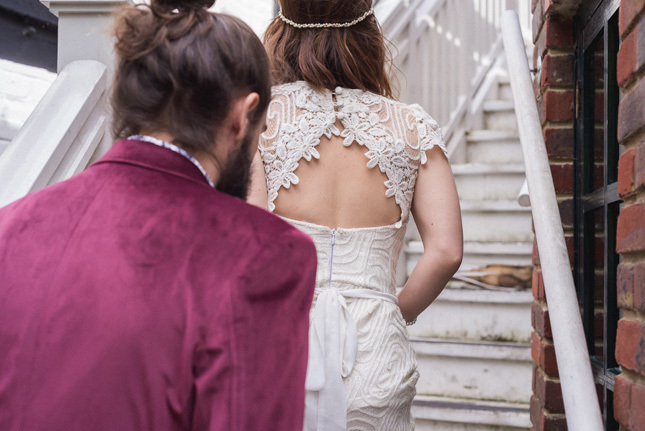 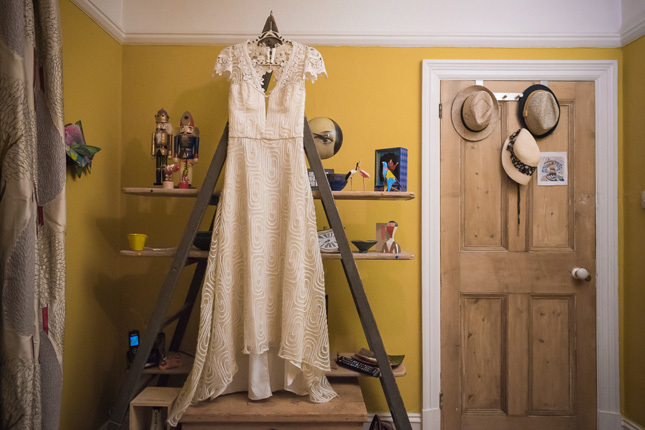 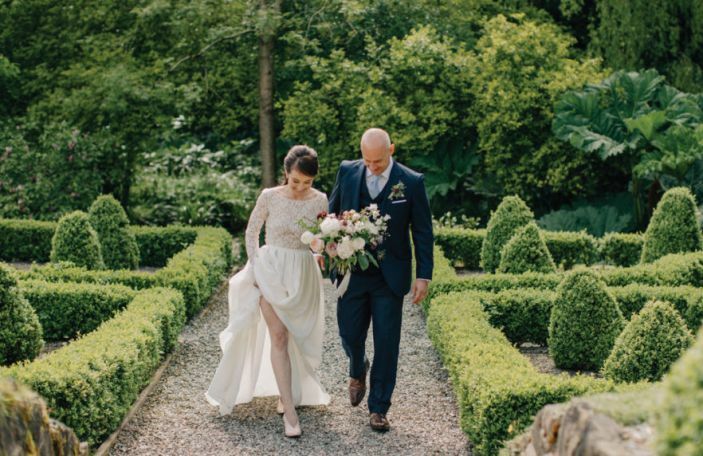 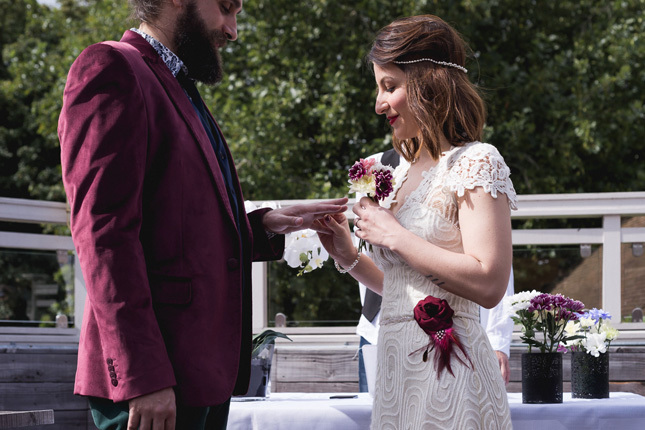 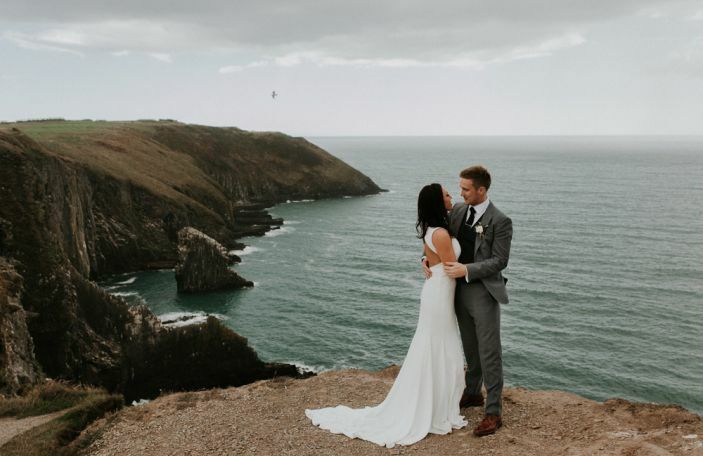 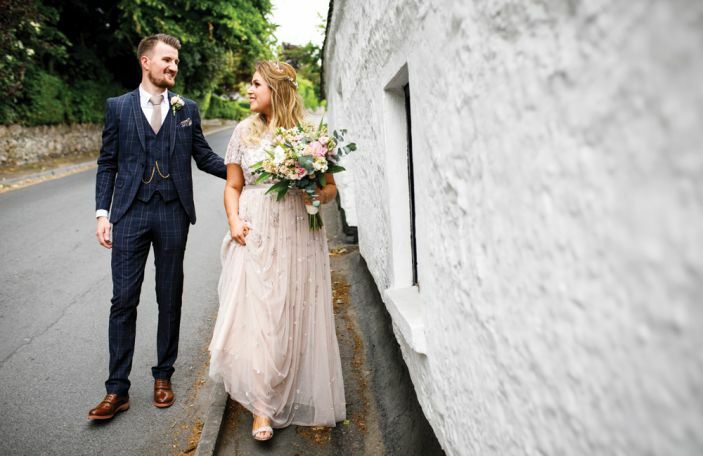 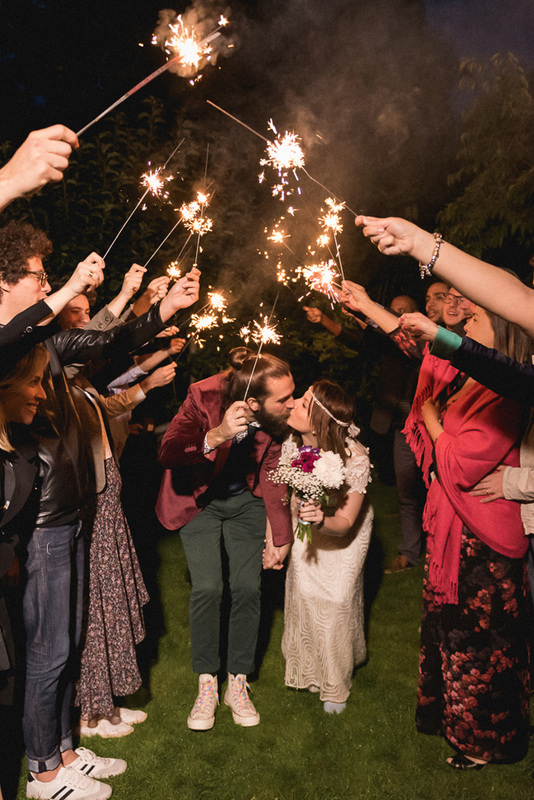 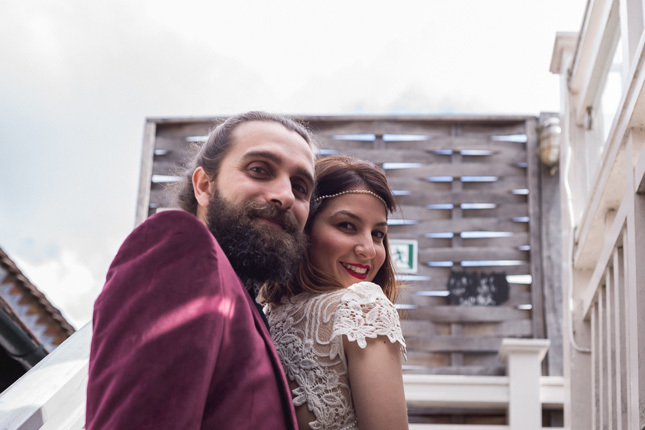 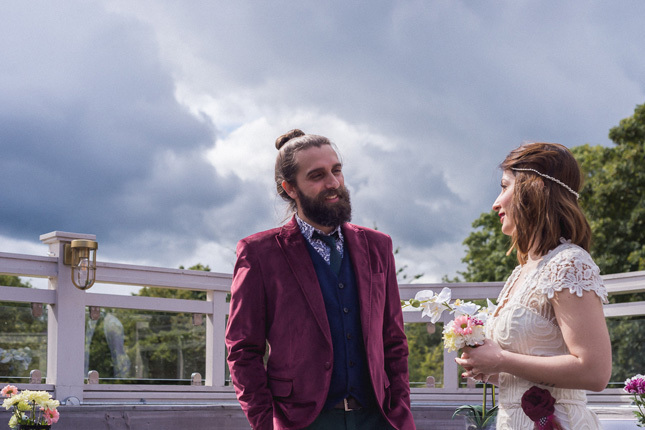 This couple planned their wedding on a budget of €2500 and it's gorgeous! 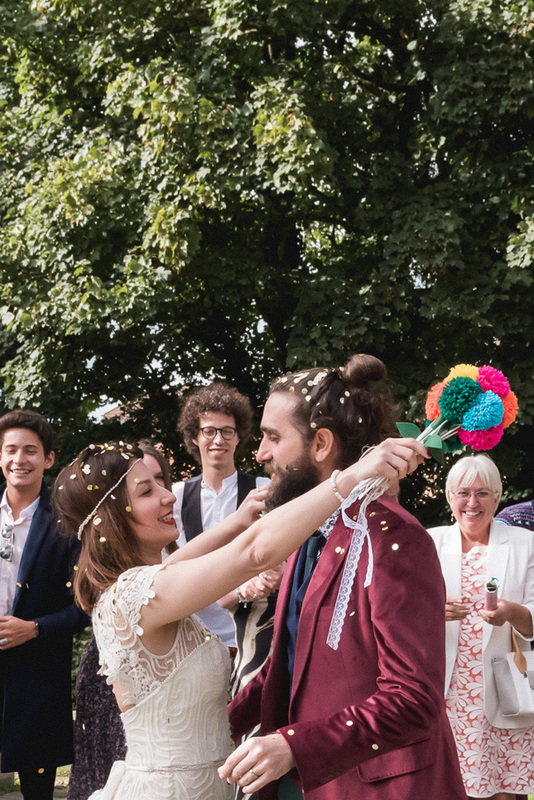 Camila had three bouquets but her pom-pom one is our fave! 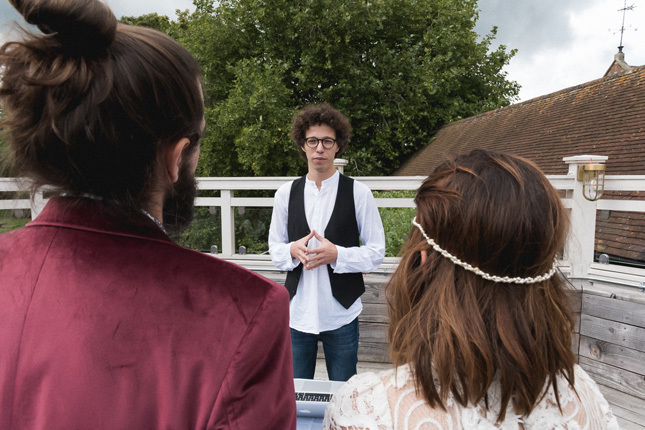 Camila and Lucas planned their wedding on a budget of $3000, which is roughly €2500, and that is no mean feat. 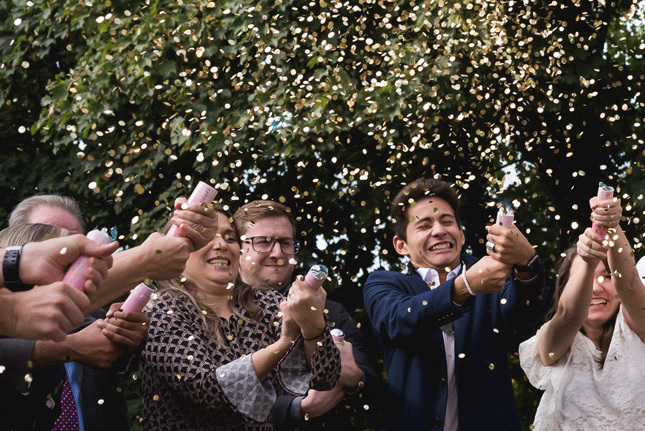 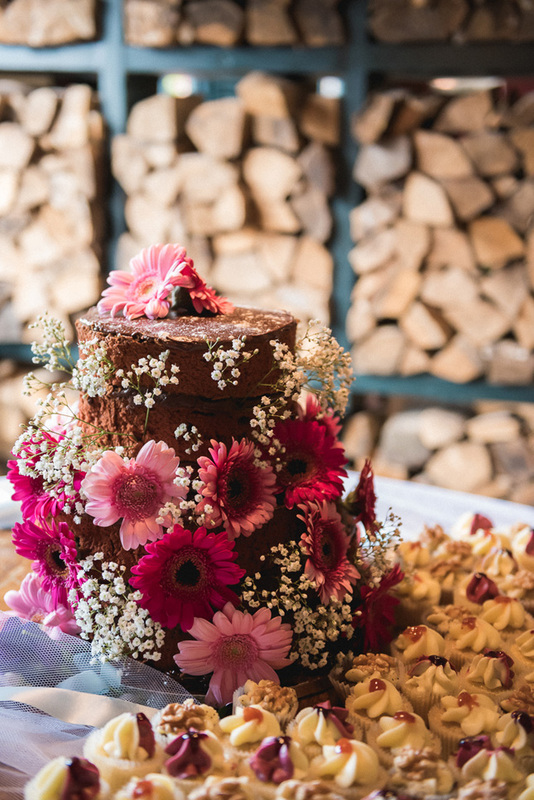 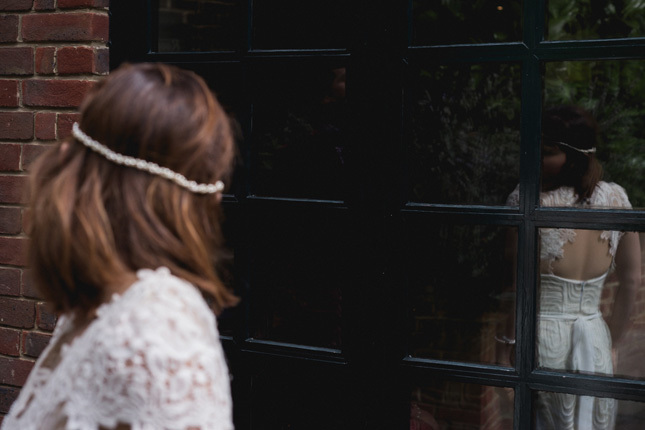 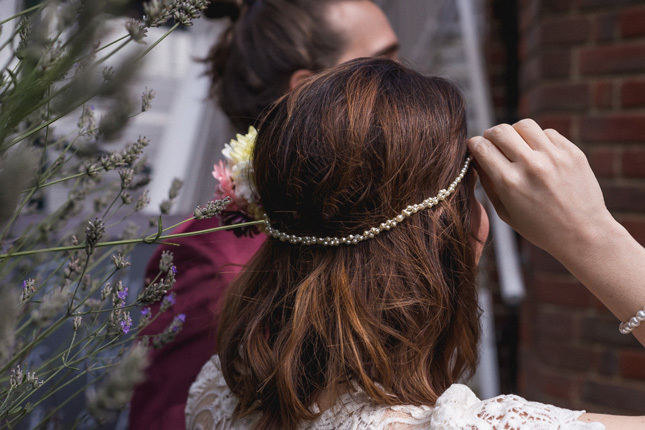 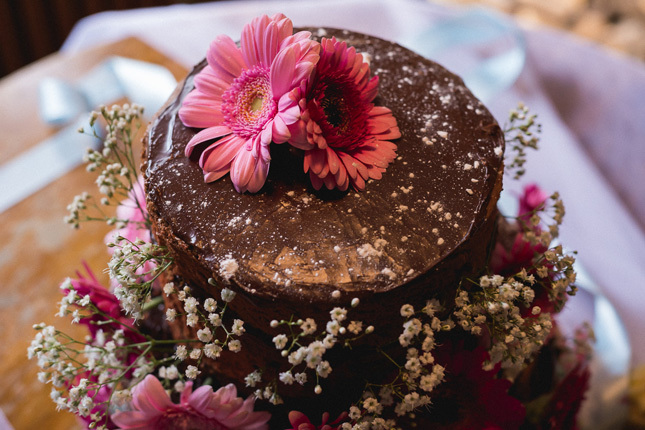 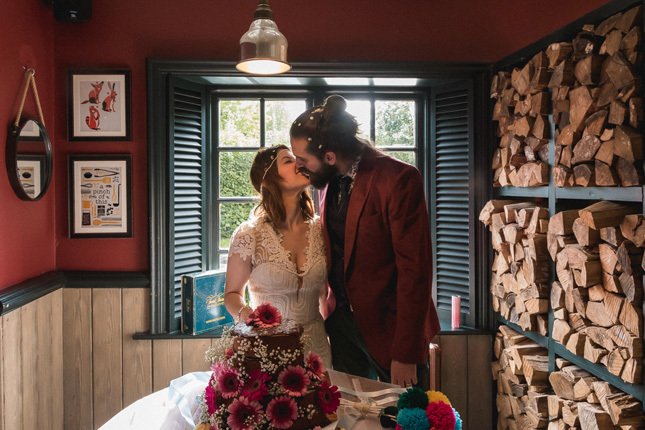 What's most important on a wedding day is that the day is jam-packed full of love, but you can't argue with the fact they managed to squeeze in a tonne of gorgeous details, despite their spending being limited. 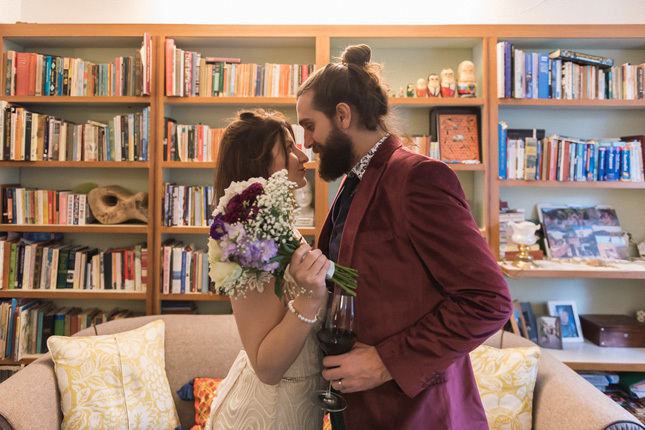 Camila sums up their story super short and sweet - it all began with "one night, one beer, one talk. 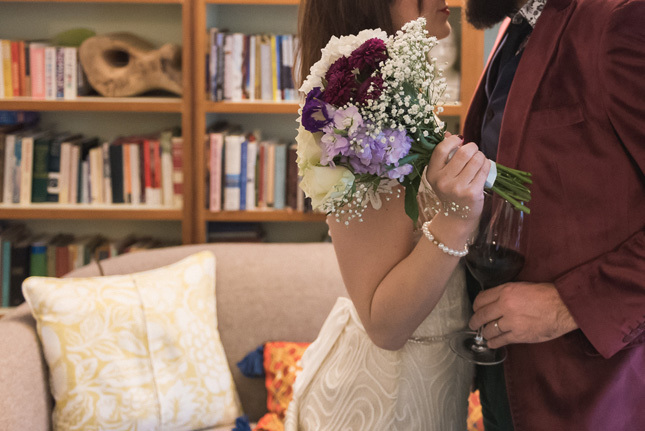 One kiss, one bed, two lives… Now, one." 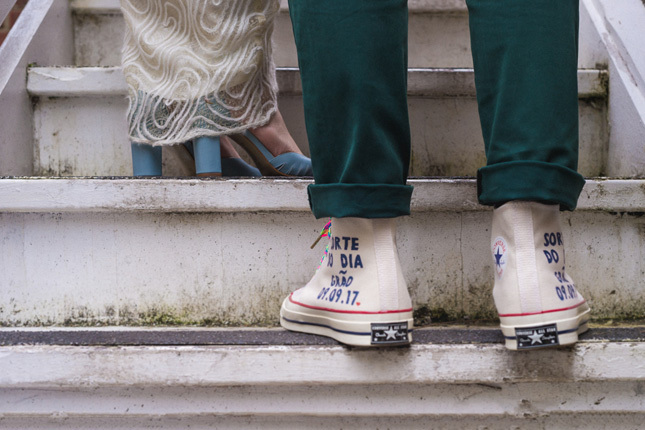 The pair are originally from São Paulo in Brazil, but got married in Berkshire in the UK. 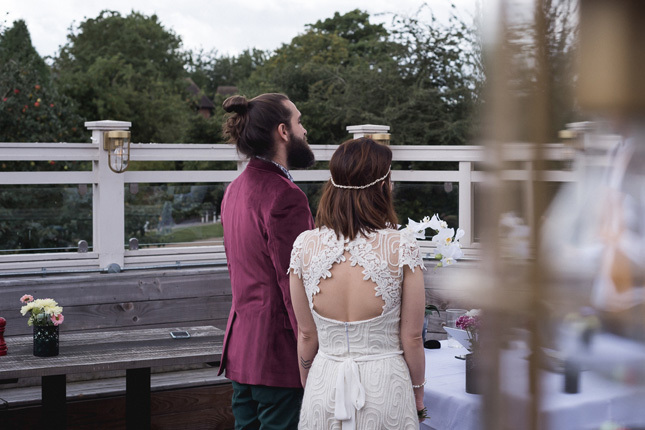 They visited two venues, and were looking for something to hold a small, intimate and super simple wedding day. 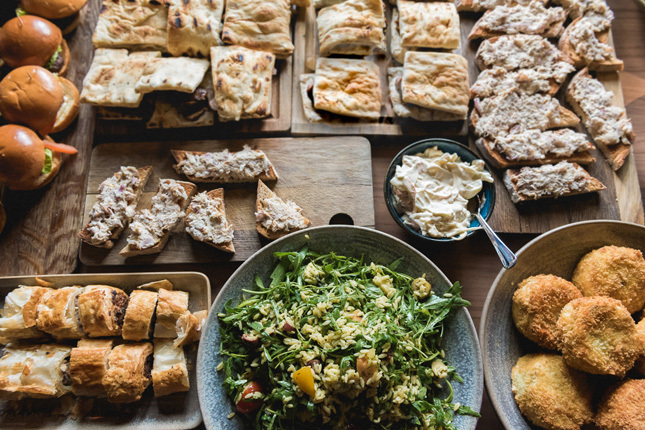 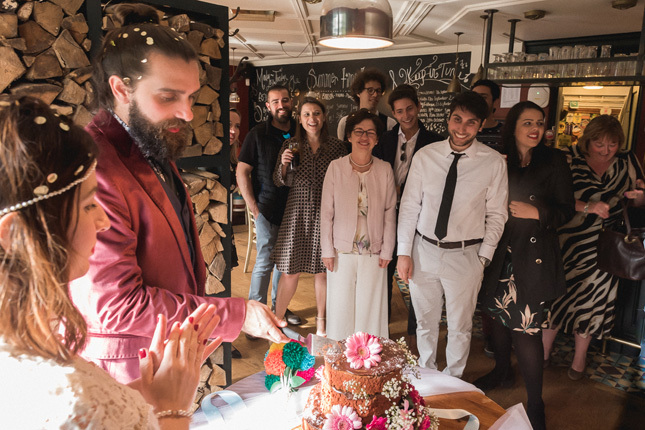 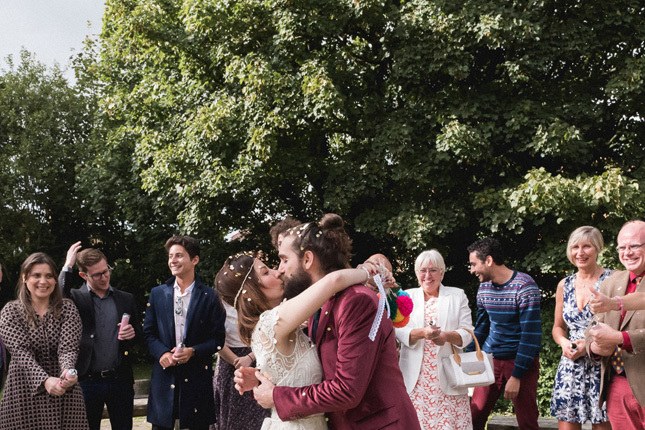 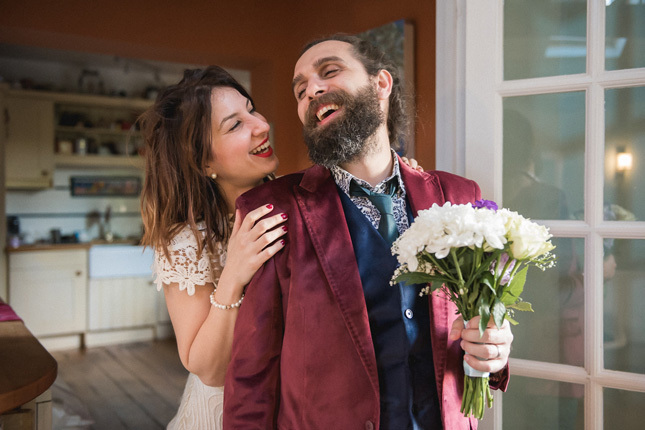 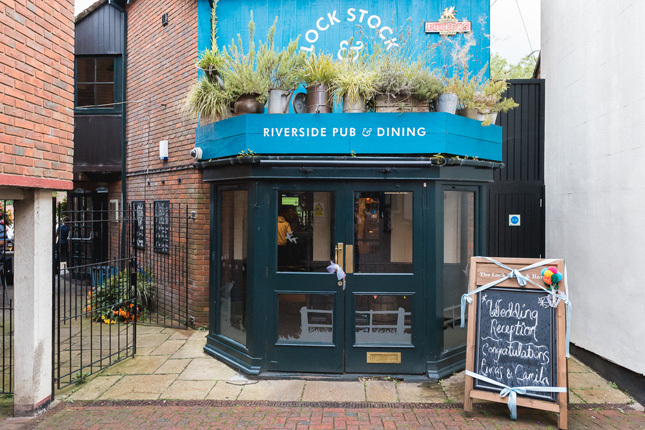 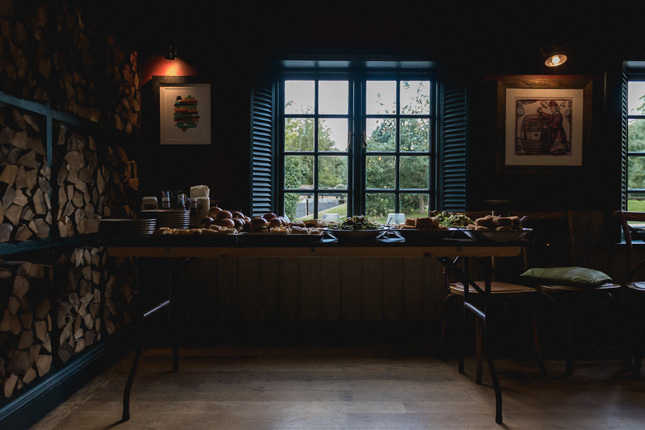 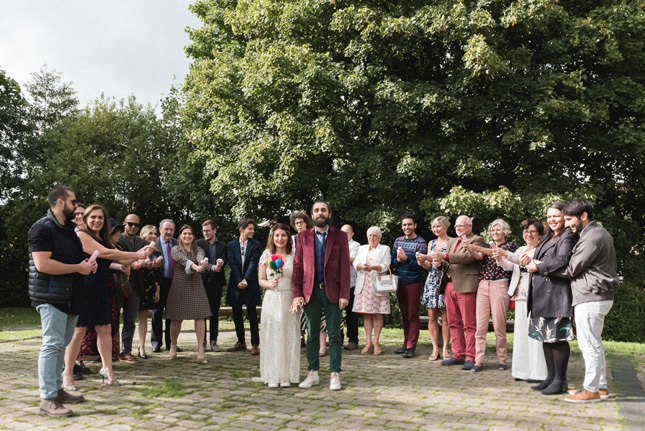 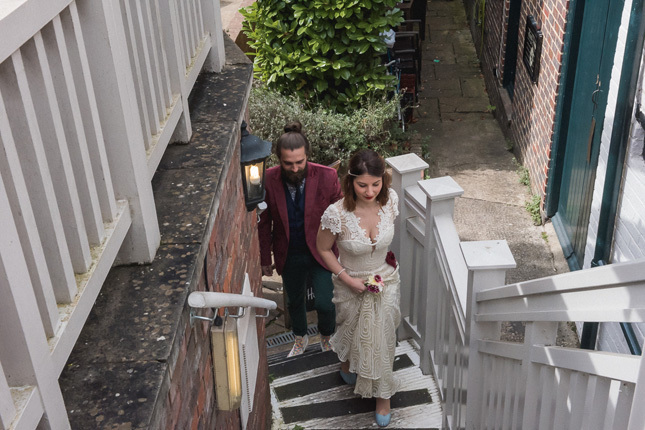 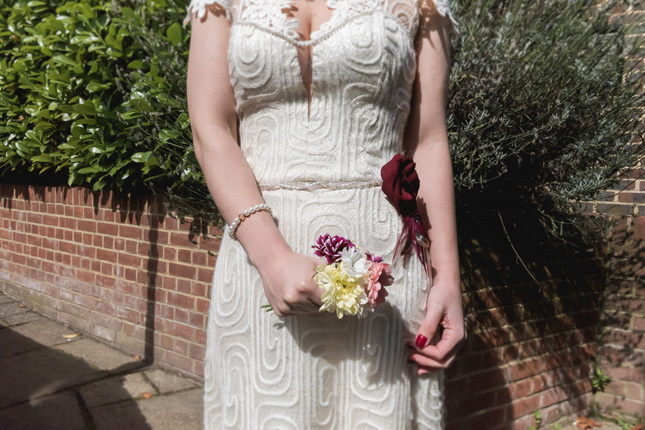 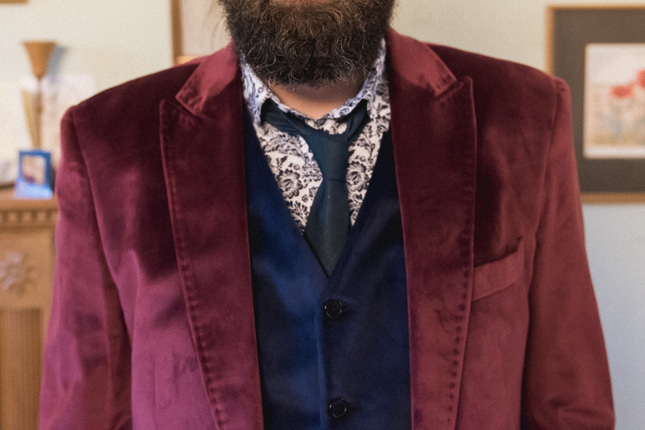 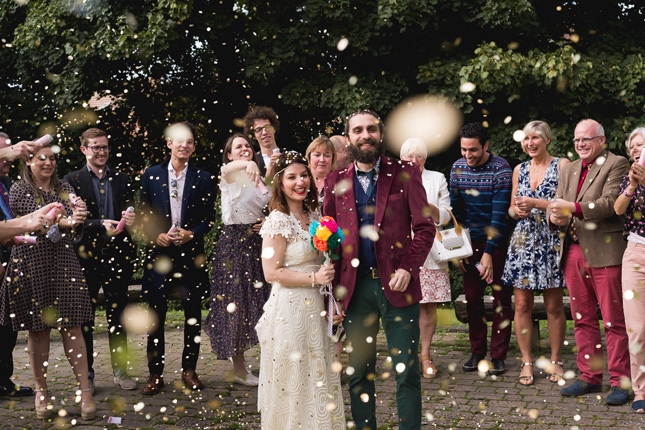 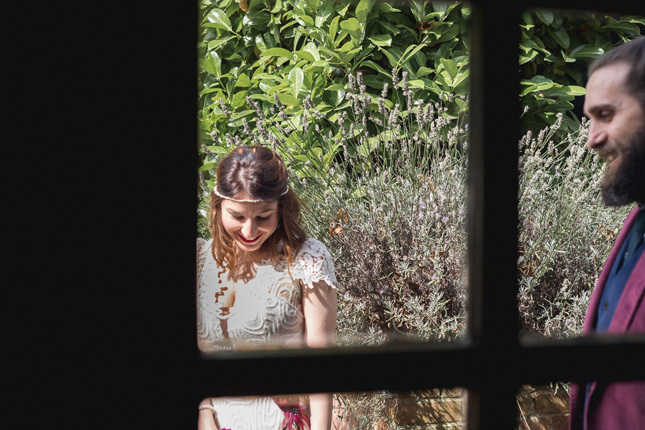 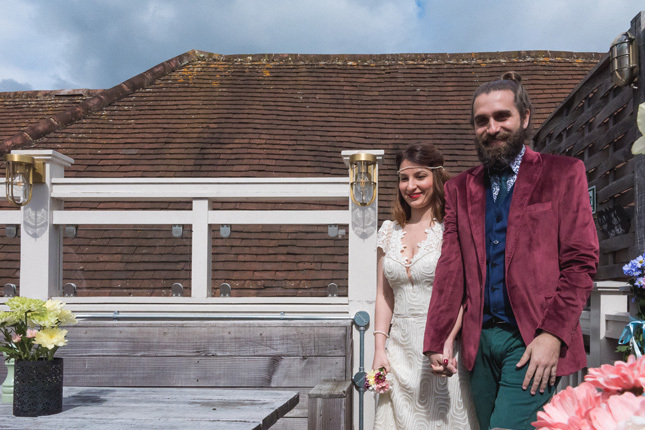 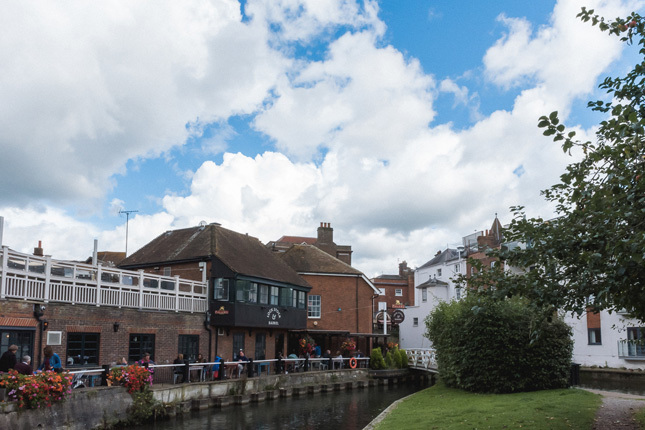 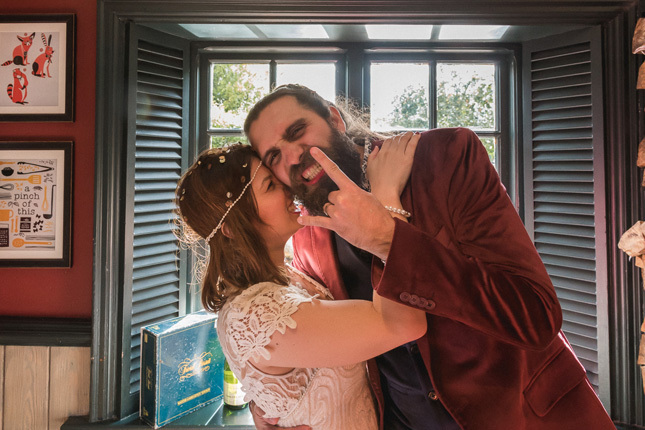 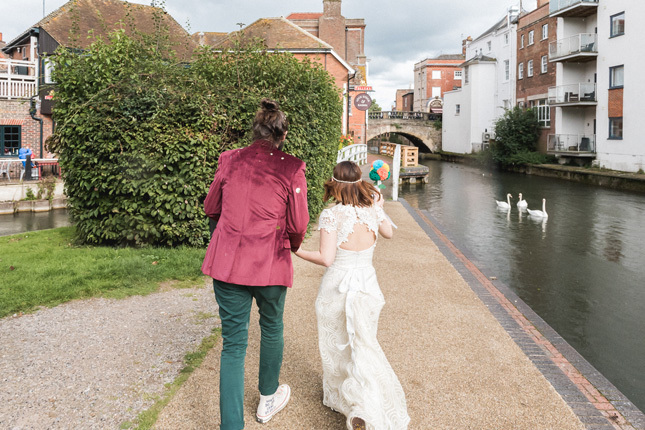 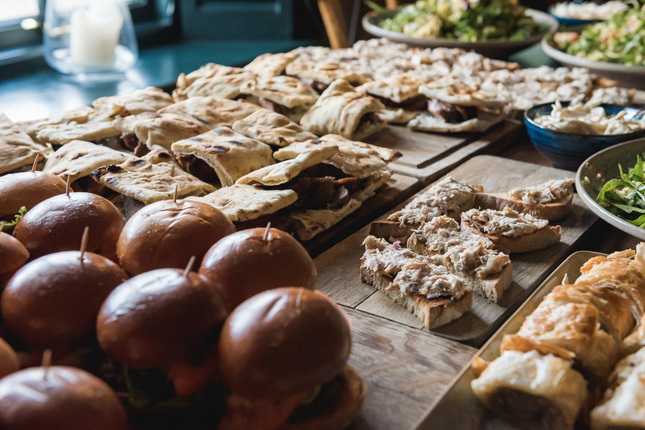 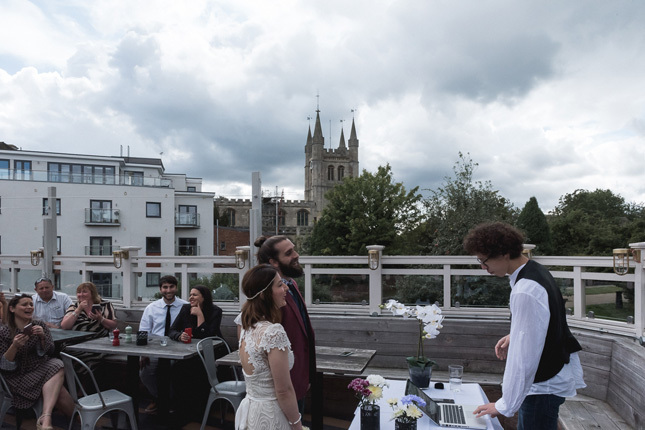 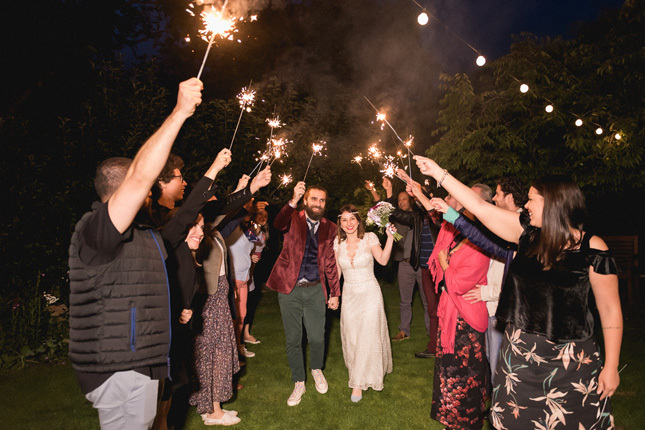 They wanted "A small wedding, in a small town, with good friends" and that is what they found in Lock, Stock and Barrel, a pub in Newbury, Berkshire. 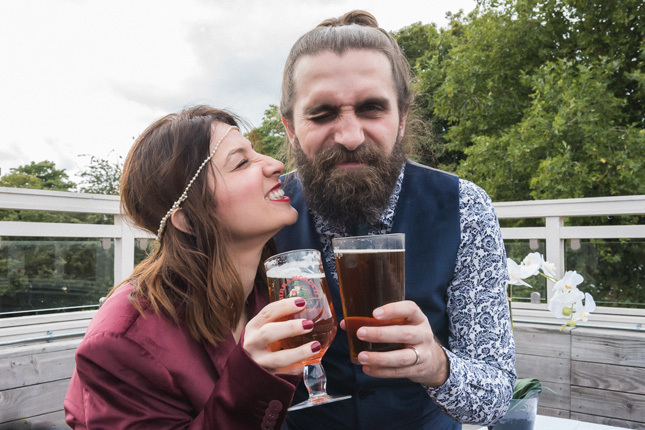 They didn't have to lift a finger once they booked - "It was all responsibility of the Pub and we liked the result very much," she says. 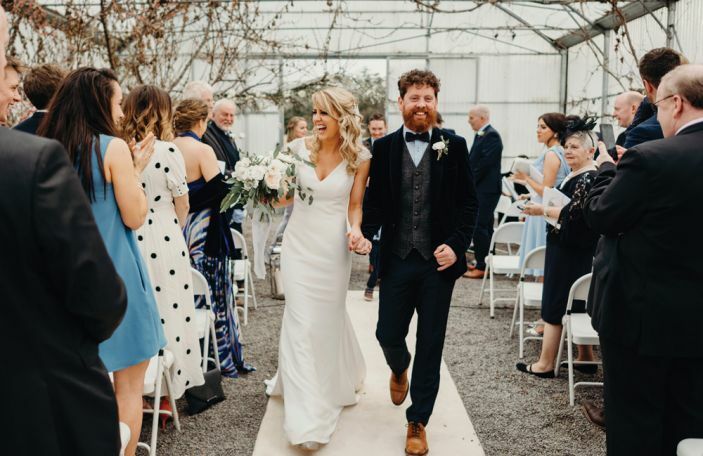 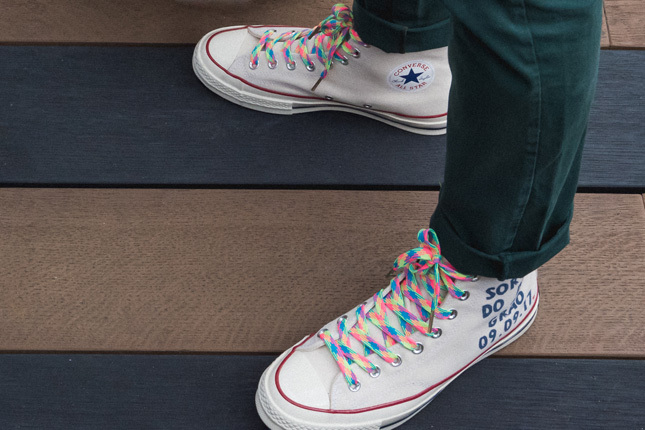 Planning was smooth sailing for the pair, though the hardest part for them was asking their families to travel to celebrate their wedding with them. 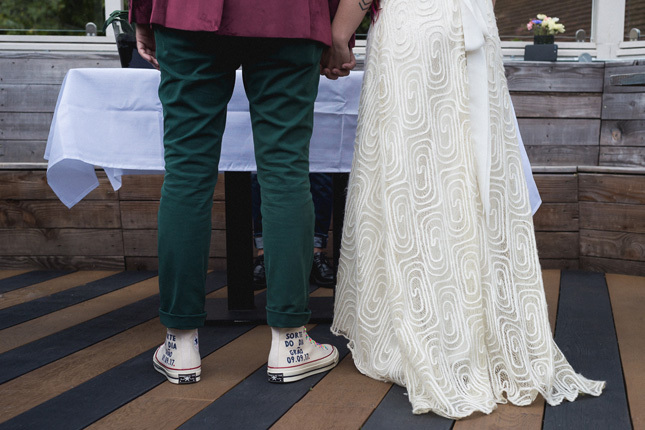 "The most difficult thing was making my family cross the ocean to stay together during the wedding," says Camila. 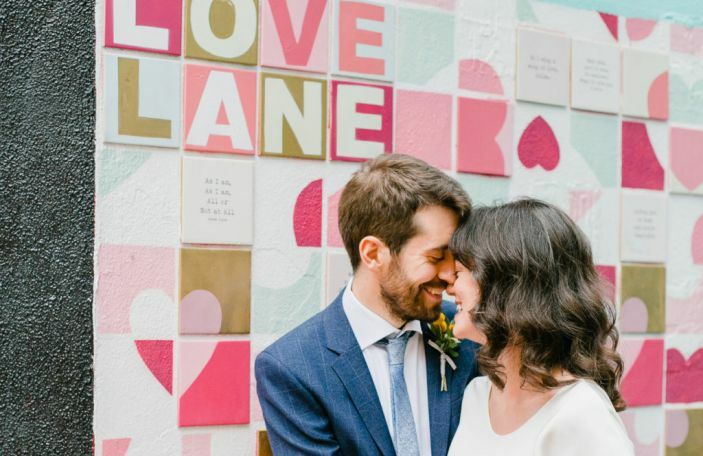 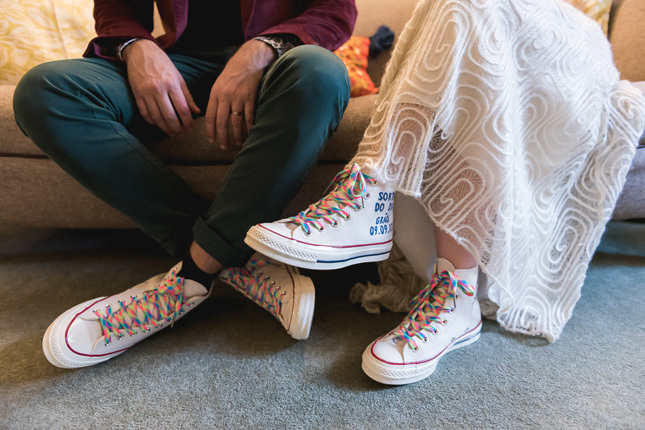 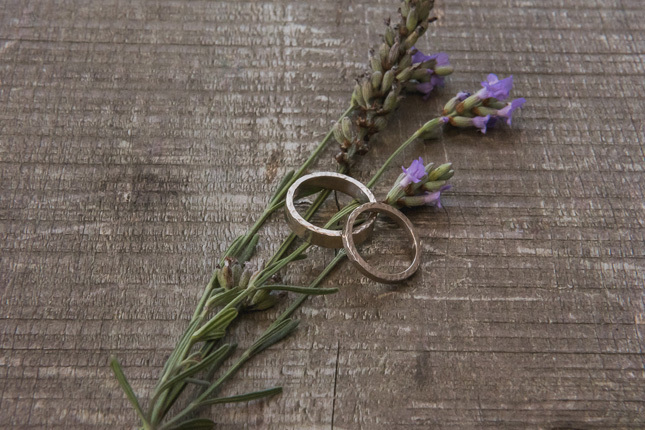 Their advice for other couples planning a wedding is to focus on what matters. 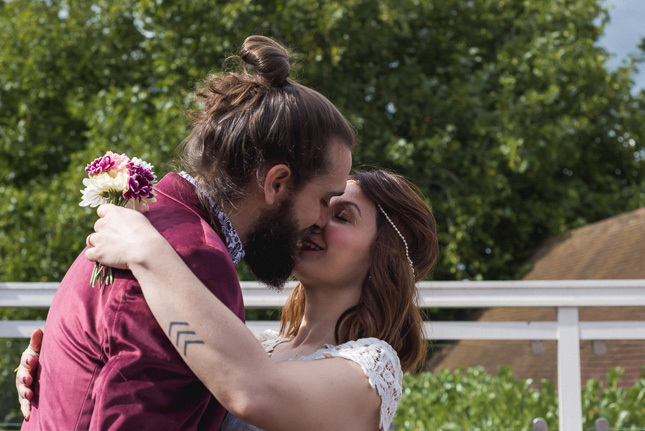 They sum up their day, saying it was "just simplicity and love. 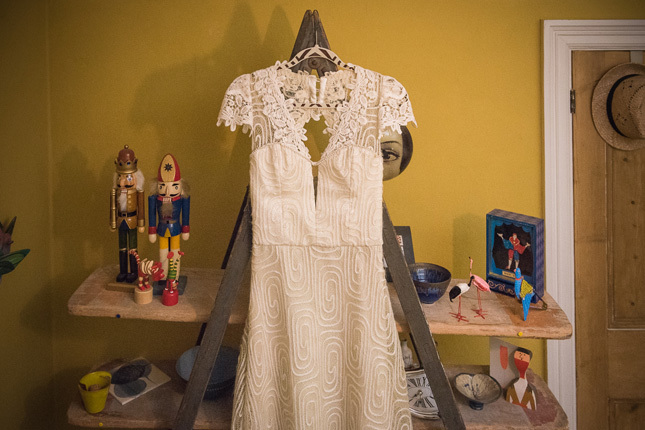 No rush, no big stuff." 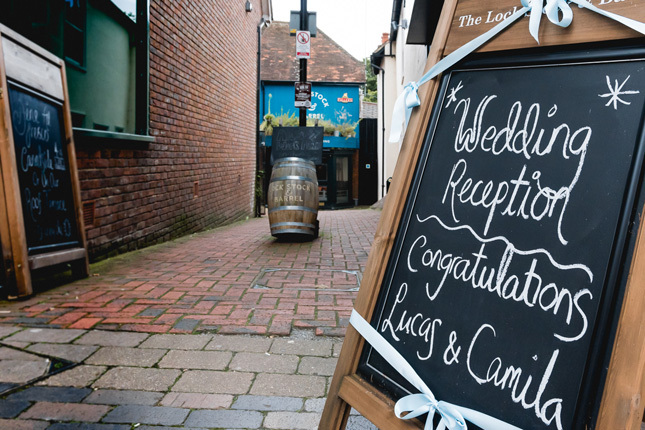 They kept their day focussed on what was important to them, and it simplified the planning hugely.